Form the design journal of artist and sculptor Kennedy Fox. The piece is called “Labyrinth”. 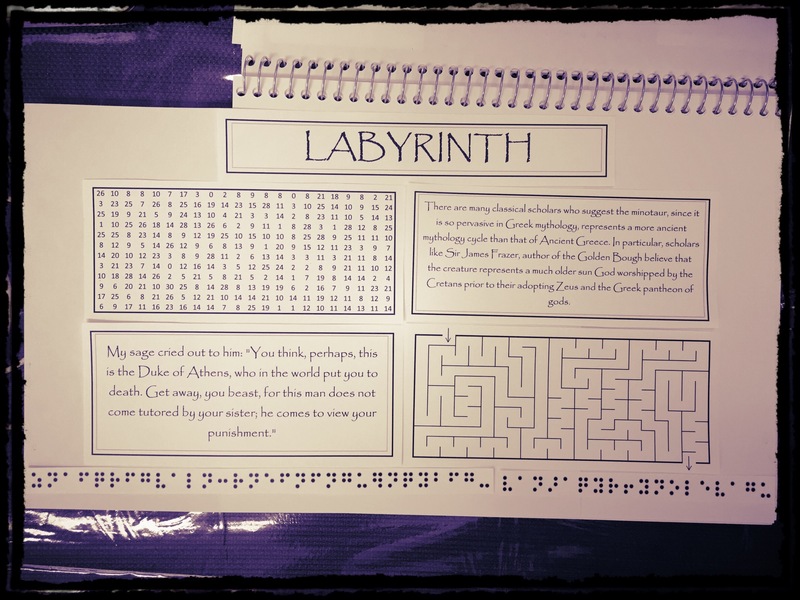 It was to be made on a metal table with the Braille cipher encircling a wooden ball that would reside inside of the labyrinth.